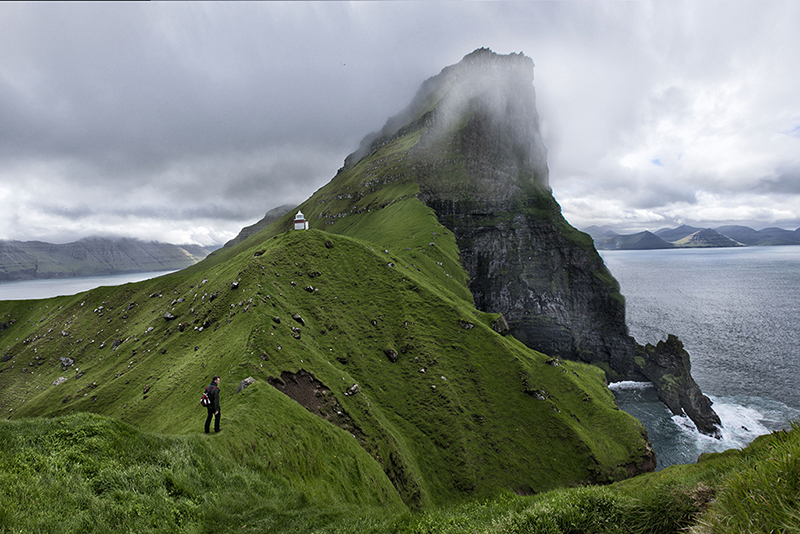 Take your time and explore the Faroe Islands by car at your own pace. This week-long fly drive holiday in the Faroe Islands is designed to uncover the highlights and hidden places of this wild Atlantic archipelago. Dramatic scenery and unpredictable weather along with a rich wildlife, cultural scene and long history combine to make this trip memorable whether you travel in the summer or winter months. 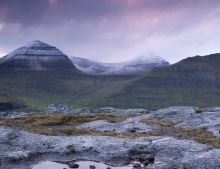 The holiday can be tailored to suit you, and includes a direct flight from Edinburgh to the Faroe Islands. Arrival to the Faroe Islands – Vágar Airport. Upon arrival, collect your rental car and drive to your first base which is close to the airport. You will stay at Hotel Vágar for the first and last nights of your trip. The rest of the day is at your leisure. If there is time, we suggest visiting the fjordside villages of Sørvágur and Bøur with views to the spectacular islands of Tindhólmur and Mykines – rich in birdlife. 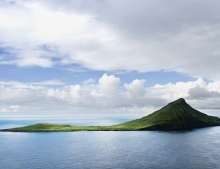 During the summer months, it is possible to arrange a boat tour to the islands (not included). You can walk the distance between Sørvágur and Bøur to prolong those views of the Atlantic islands. 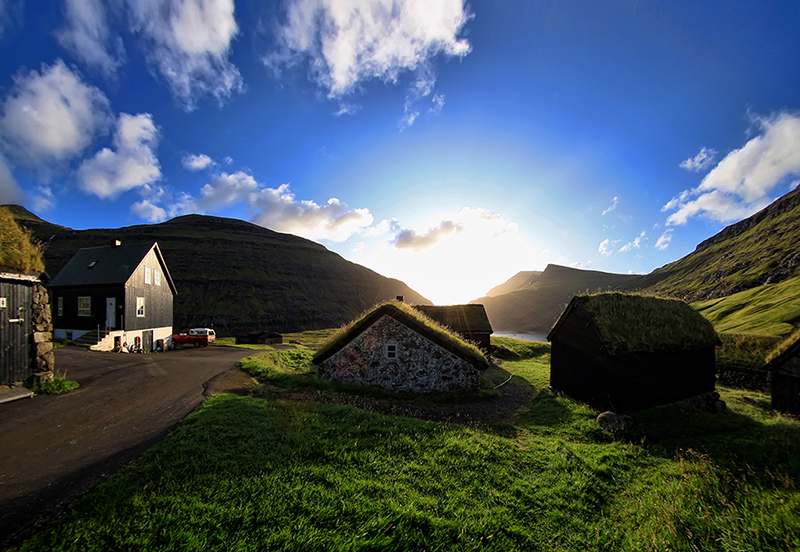 Continuing further along the coast, a visit to the isolated village of Gásadalur is not to be missed. It wasn’t until recently that the village become connected to the outside world when a tunnel was built through the mountain offering a road route to this ‘end-of-the-world’ settlement. Return to Hotel Vágar where dinner is available in the restaurant serving a mix of international and local cuisine. Overnight at Hotel Vágar. After breakfast it is time to leave the island of Vágar and continue to the larger islands of Eysturoy and Streymoy. Linked by road tunnel, the islands contain some Faroese highlights including the capital city Torshavn. Your next stop will be the village of Vestmanna where you’ll have the opportunity to see the famous birdcliffs up close on an optional boat trip. 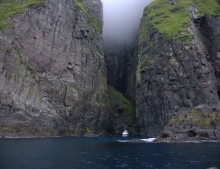 Optional: Boat trip to the Bird cliffs and Caves of Vestmanna (available May – September). 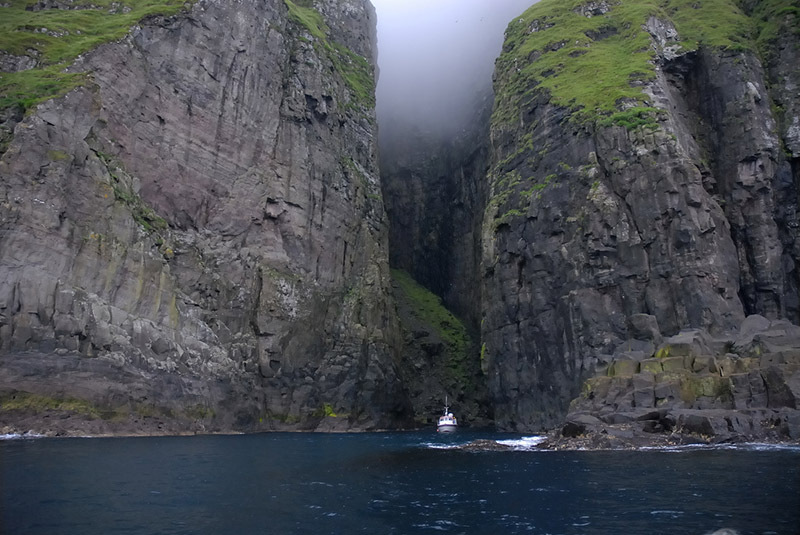 Sail through narrow sounds and into caves to enjoy a close up view of the 2000 foot high cliffs where birds such as puffins, guillemots, fulmars and kittewakes nest each summer. The trip will last for approximately 2 hours and requires advance booking. After your bracing experience at Vestmanna your drive continues over the bridge to the island of Eysturoy where you’ll witness the intriguing rock formations known as the "giant and the old hag" and also Slættaratindur (882 meters), the highest mountain on the Faroe Islands. Enjoy the next two nights at the unique Hotel Gjáargarður in Gjógv. The village of Gjógv takes its name from the 200-metre-long gorge in the northern part of the village. Take your time to enjoy some walks around the village admiring its stunning location and the rock formations. Overnight at Hotel Gjáargarður where you will stay for two nights. 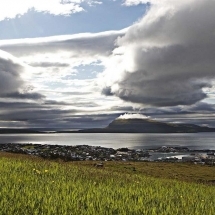 Enjoy the day at your own place exploring the village of Gjógv and its surrounds. 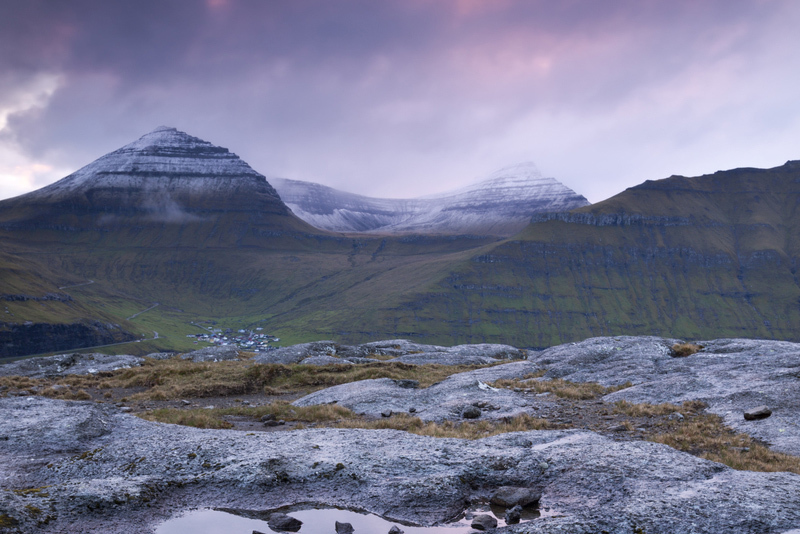 We suggest a trip to Tjørnavík – the first Viking settlement in the Faroe Islands where a walk along the beach may uncover some remains of the Viking Age. Returning to Gjógv, a stop in Saksun is recommended to see the church and the farm "Dúvugarður", which today is a museum. After breakfast it is time to leave Gjógv. Today's journey takes from you from Gjógv to Klaksvík, the second largest town of the Faroe Islands located on one of the northernmost islands called Borðoy. En route you will pass the village of Oyndafjørður where further hiking opportunities await should you wish to be active. From Oyndafjørður to the island Borðoy you’ll pass through a second subsea tunnel - where you’ll marvel at artist Tróndur Patursson's fantastic light installations. Overnight at Hotel Klaksvík. Time at leisure to explore Klaksvik and to enjoy a locally brewed beer and a visit to the picturesque church, Christianskirken. Today you’ll have plenty of time to explore the northern islands. 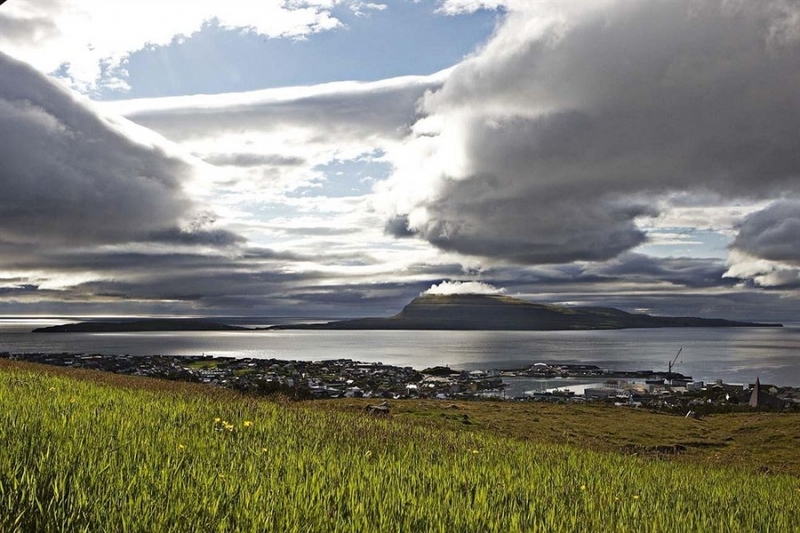 Visit the village of Viðareiði – the starting point for an active hike to the world’s highest promontory. The sharp incline of this rock offers spectacular views over the islands and wild ocean. Further (and less active) walks can also be enjoyed in this area before you drive to the capital Tórshavn later in the day. 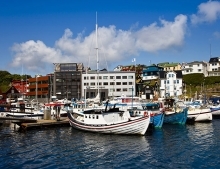 You have a choice of accommodation in Tórshavn and we will provide further information about each of the town’s hotels. The package price includes two nights at either Hotel 62N or Hotel Streym, both good quality three star options. 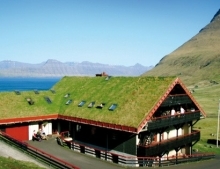 It is possible (subject to availability) to upgrade to Hotel Hotel Hafnia or Hotel Føroyar for a supplementary cost. Enjoy dinner in one of Torshavn’s restaurants with our recommendations. 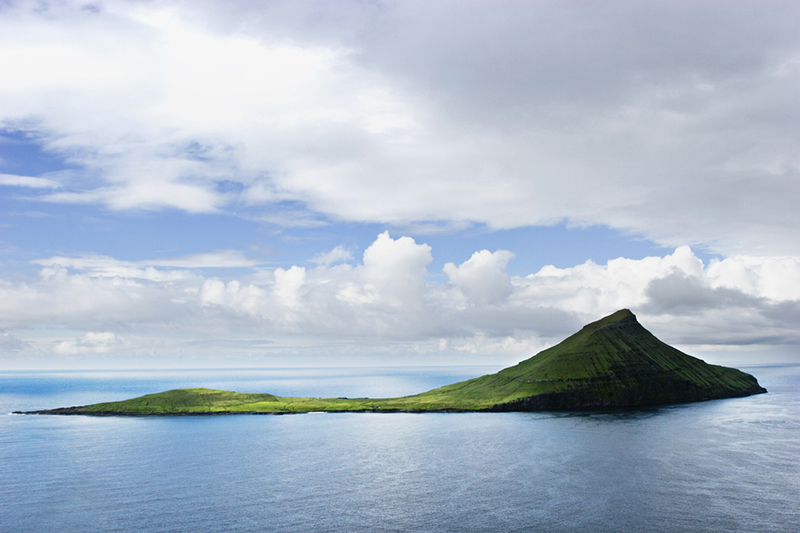 The Faroe Islands enjoy excellent local produce and many chefs have their influence from Nordic cuisine. At Torshavn’s local restaurants you’ll find freshly caught fish and local lamb on the menus. During your stay you should also make the most of the town’s shopping scene and its wool products in particular. Take home a hand-knitted souvenir such as a beautiful Faroe Islands jumper. Our recommendation today is to visit the island of of Nólsoy - just 20 minutes away from Tórshavn by boat. Take the opportunity to discover the island together with a local guide. Overnight in Torshavn. 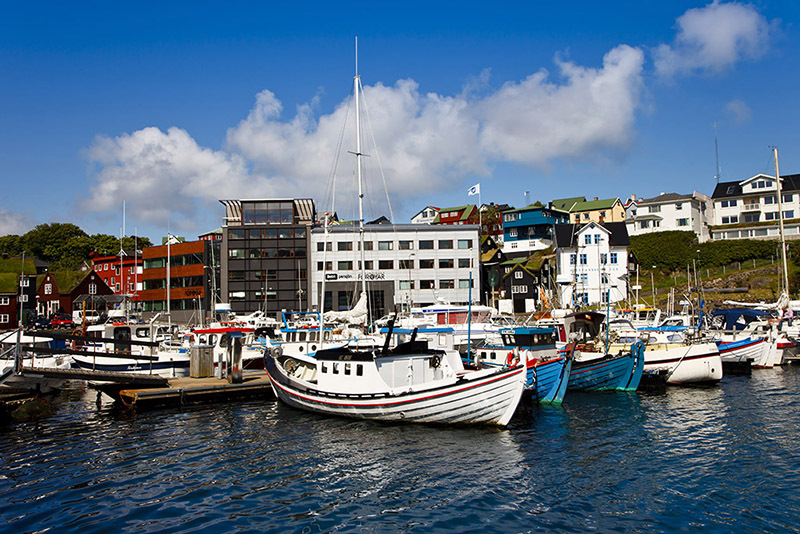 Enjoy a morning in Tórshavn before departing in the afternoon. 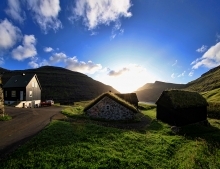 We recommend a visit to Kirkjubøur the old cultural centre of the Faroes. Visit the 900-year-old Roykstovan, where the King's yeoman still lives after 17 generations; Ólav's church from AD 1111, named after King Olav the Holy. 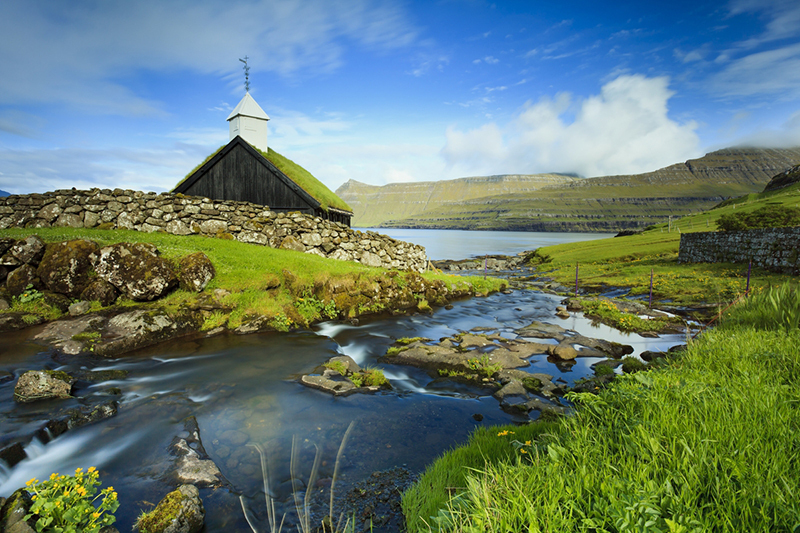 This church is the oldest church in the Faroes, and is still in use today. See the ruins of St. Magnus Cathedral, which is regarded as one of the largest cultural attractions in the Faroes before heading back to the island of Vagar where you’ll stay the final night at Hotel Vágar. Today it is time to bid farewell to the Faroe Islands and return to the airport for your flight to Edinburgh. 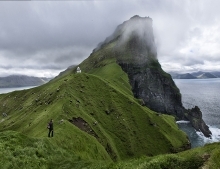 The programme above includes direct flights from Edinburgh to the Faroe Islands with Atlantic Airways. Departures are available twice weekly on Mondays and Fridays year round. Direct flights are also available from Reykjavik (Iceland), Bergen (Norway) and Copenhagen (Denmark). We can arrange additional flights to any of these airports. From £1395 per person (based on two people travelling). 8 day’s car rental in a group A car (Nissan Micra or similar) including unlimited mileage, CDW and airport tax. Car upgrades are also available. Damage excess is DKK 7000 which can be reduced to DKK 500 for an additional cost of DKK 100, per day (payable locally). by J robson, Faroes on Jun 20 .